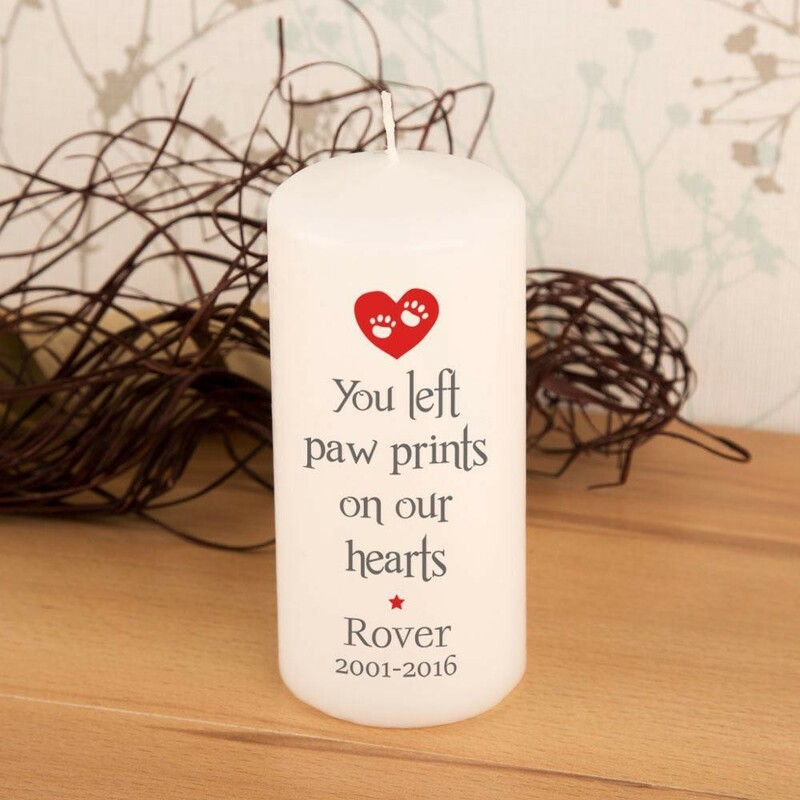 This personalised pillar candle is a gentle reminder of a beloved cat or dog that has left paw prints on your heart. 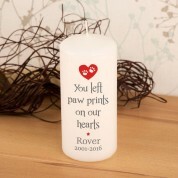 As the white pillar candle is lit it will bring a smile to the recipient's face, reminding them of their loyal friend. The heart warming flame may be a comfort to them as the decorative candle sits in pride of place on the mantelpiece. 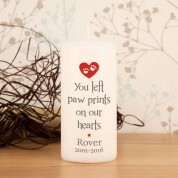 The simplistic design features a bold red heart, and text that reads “You left paw prints on our hearts”. 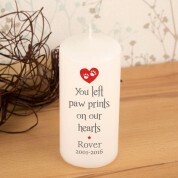 The pets name is featured along with special dates. It may be lit as a gentle reminder, or alternatively it can be carefully stored away in its delicate organza bag.